Hot stocks to watch, August 21, 2014: This quarter, companies in the broad-based S&P 500 Index are expected to post earnings growth of 7.6% over year-ago levels and a revenue rise of 4.4%, based on projections from FactSet. More than 90% of S&P components have already reported, and the overall financial performance over the April – June period has been solid. Thursday brings earnings from a dollar store company involved in a takeover battle, a growing branded meat processor, several key retailers, and a couple of tech players. Hot Stocks to Watch No. 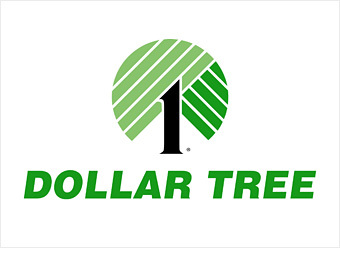 1: Dollar Tree Inc. (Nasdaq: DLTR) kicks off today's hot stocks to watch. The discount retailer is expected to report Q2 earnings per share (EPS) of $0.65, up from $0.56 in the same quarter a year ago, when it posts results before the open. The main focus this quarter is likely to be on the company's proposed takeover of Family Dollar Stores Inc. (NYSE: FDO). In late July, DLTR announced it is buying FDO in an $8.5 billion cash and stock deal. Rival Dollar General Corp. (NYSE: DG) added a wrinkle to the deal this week when it came in with a counterbid of $9.5 billion for Family Dollar. Dollar Tree may not have to top Dollar General's proposal to win FDO. Family Dollar's board may settle for a lesser bid in exchange for keeping the company's name, Charlotte-area headquarters, and a position for Chief Executive Howard Levine. Hot Stocks to Watch No. 2: Sears Holdings Corp (Nasdaq: SHLD) will report Q2 results prior to the opening bell. The ailing retailer is seen posting a sizable 76.7% year-over-year EPS loss of $2.58. Sales are seen slumping 7.9% to $8.17 billion. In the prior quarter, Sears reported an expansion in its EPS loss to $2.44 per share, missing analysts' estimates of $1.91 per share. Like its rivals, Sears has been forced to offer steep discount offers to push sales and clear inventory. The company's fate remains questionable at best. Shares are down a 7.29% year to date.